I am new to FEMAP, and while the results I have seen so far are wonderful, I am still not quite ready to deliver a well studied fresh view on the product. I can however deliver some new user tips that I pick up along the way. Often, we need to pick complex geometry in FEMAP, perhaps applying a load to small smoothed faces, or internal, hard to reach surfaces? I was overjoyed to find this feature, because it provides the best way to automate the process of selecting adjacent faces, in this case to apply a transient pressure. 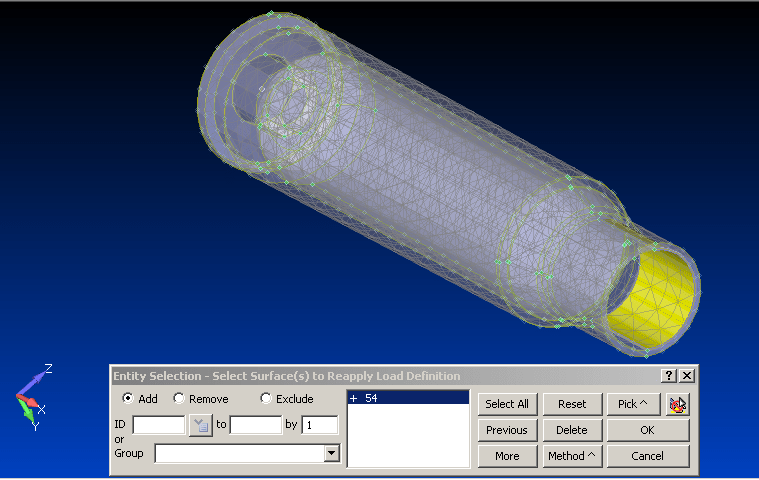 FEMAP uses a panel like interface that allows users to enter the ID number of faces, nodes, elements, etc. whenever selections need to be made. I’ll come back to this interface later, but for now I’d like to show you how to pick one key surface, and let FEMAP determine the remaining set based on the tangency of the adjacent faces. FEMAP will then load the interface with the ID numbers of all tangent faces connected thereto. AWESOME!!! Check in for more tips. 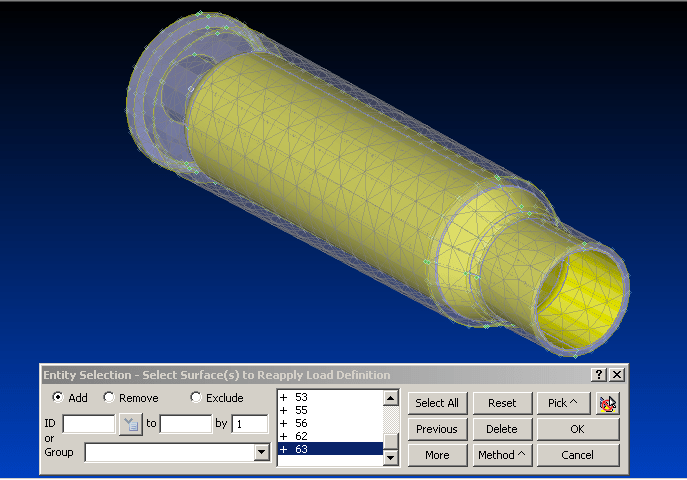 We’ll keep adding more information about Siemens FEMAP as we dig deeper into the product.